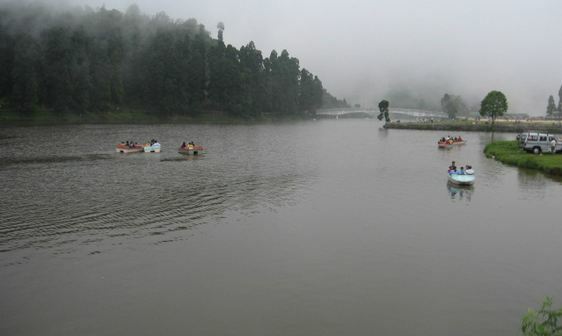 Mirik is a picturesque tourist spot nestled in the serene hills of Darjeeling district in West Bengal, India. 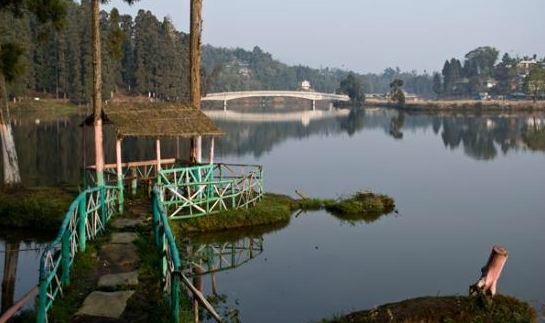 The name Mirik comes from the Lepcha words Mir-Yok meaning "place burnt by fire". 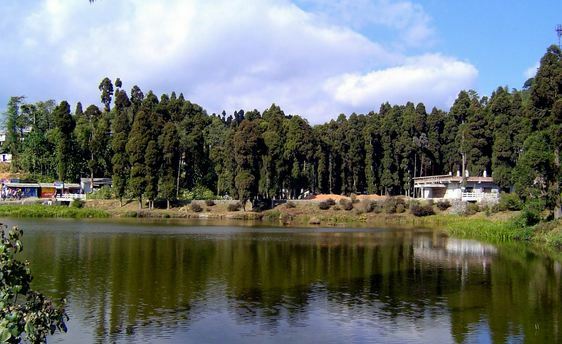 Mirik has become a popular tourist destination for its climate, natural beauty and easy accessibility. The centre of all attraction is the Sumendu lake, surrounded by a garden on one side and pine trees on the other and linked together by an arching footbridge called Indreni Pull (Rainbow Bridge). 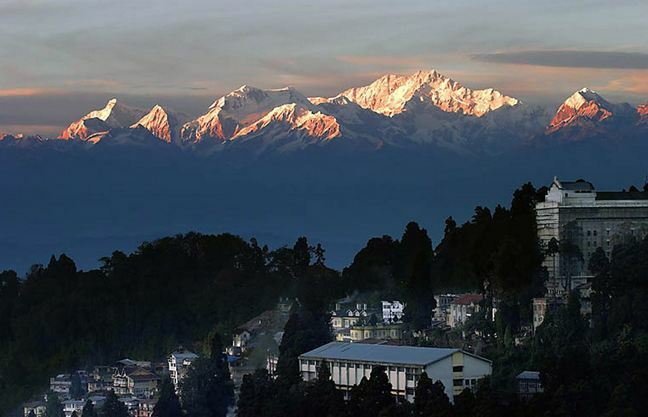 A 3.5-km-long road encircles the lake and is used for walks with the view of Kangchenjunga on the far horizon. Boating on the quaint shikaras and pony riding are available. Darjeeling is the headquarters of Darjeeling district which has a partially autonomous status within the state of West Bengal. The development of the town dates back to the mid-19th century, when the colonial British administration set up a sanatorium and a military depot. Tiger Hill is located in Darjeeling of West Bengal, and is the summit of Ghoom, the highest railway station in the Darjeeling Himalayan Railway – a UNESCO World Heritage Site. It is famous for its panoramic view of Mount Everest and Mt. Kangchenjunga together. 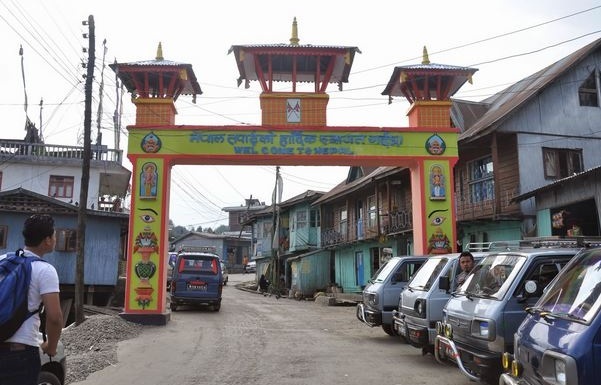 You will find Pashupati Nagar market on your way to Mirik Lake. Situated right at the Nepal border, this is the place to buy cheap cosmetics and clothes imported from Thailand. It’s not more than a 10-minute walk away from the Darjeeling-Mirik Road. 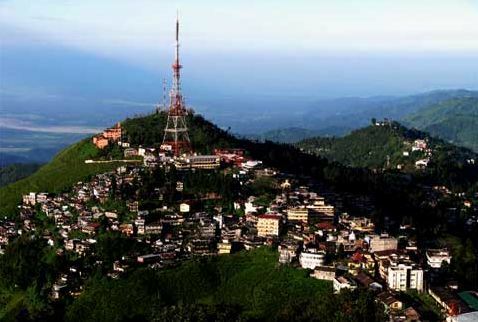 Kurseong is a hill station and sub-divisional town in the Darjeeling district. Located at an altitude of 4,783 ft Kurseong is 32 kilometres from Darjeeling and has a pleasant climate throughout the year. 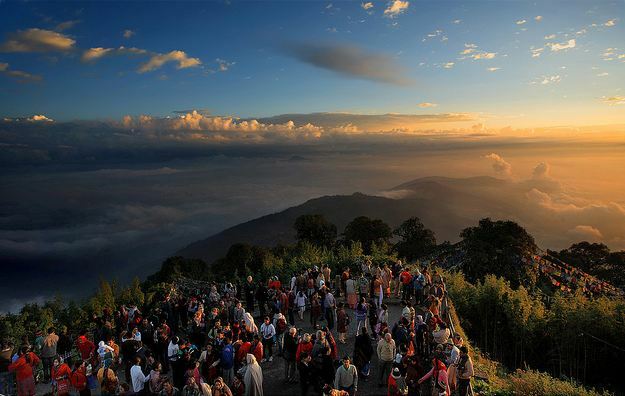 Kurseong is 47 kilometres from Siliguri and is connected to the city by road and the Darjeeling Himalayan Railway. Gangtok is located at 27.3325°N 88.6140°E (coordinates of Gangtok head post office). It is situated in the lower Himalayas at an elevation of 1,650 m (5,410 ft). The town lies on one side of a hill, with "The Ridge", a promenade housing the Raj Bhawan, the governor's residence, at one end and the palace, situated at an altitude of about 1,800 m (5,900 ft), at the other. The city is flanked on east and west by two streams, namely Roro Chu and Ranikhola, respectively. These two rivers divide the natural drainage into two parts, the eastern and western parts. Like the rest of Sikkim, not much is known about the early history of Gangtok. The earliest records date from the construction of the hermitic Gangtok monastery in 1716. Gangtok remained a small hamlet until the construction of the Enchey Monastery in 1840 made it a pilgrimage center. It became the capital of what was left of Sikkim after an English conquest in the mid 19th century in response to a hostage crisis. After the defeat of the Tibetans by the British, Gangtok became a major stopover in the trade between Tibet and British India at the end of the 19th century. Most of the roads and the telegraph in the area were built during this time.